Welcome Home! 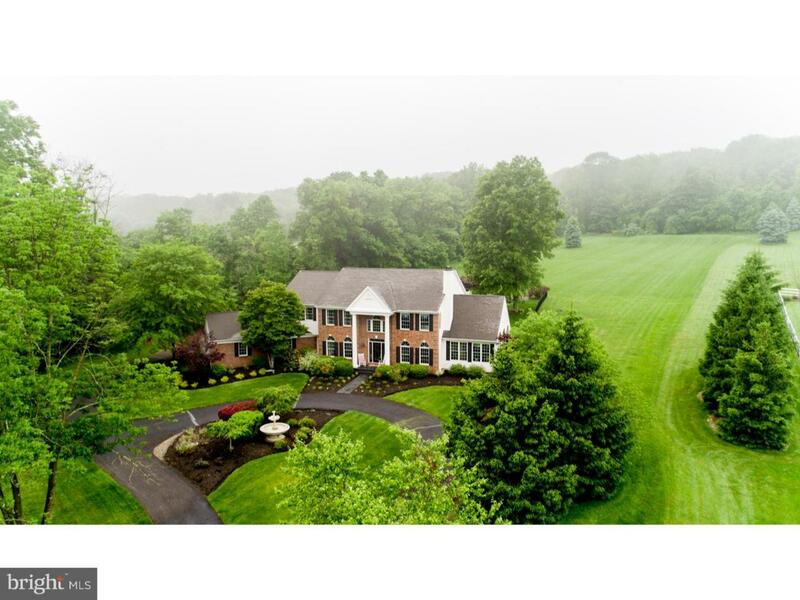 Enjoy this Rockhill Builders Custom-built estate on 7.82 acres of rolling Bucks County property! 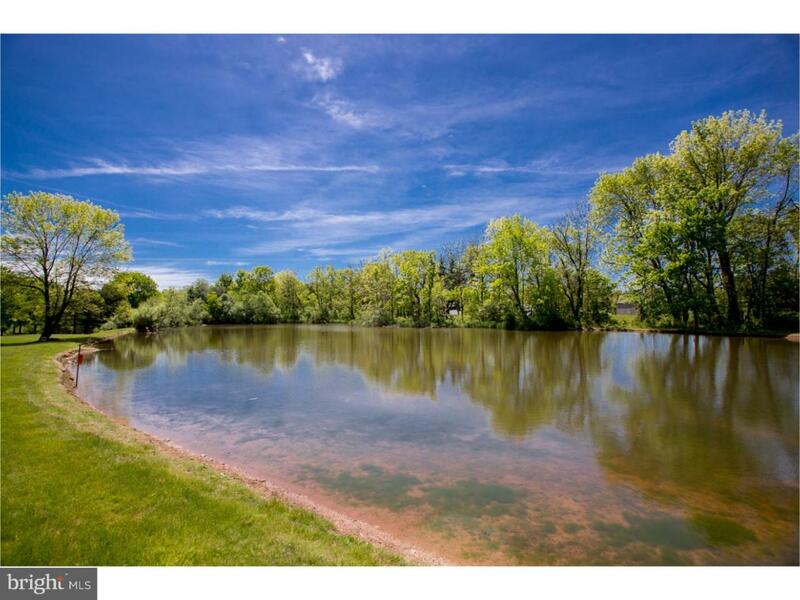 You will be captivated as you pass by the 1-acre stocked pond along the winding circular driveway encircling a fountain and lavish landscaping. Enter through the custom lead glass front door with matching sidelights and transom into this inviting and comfortable home. 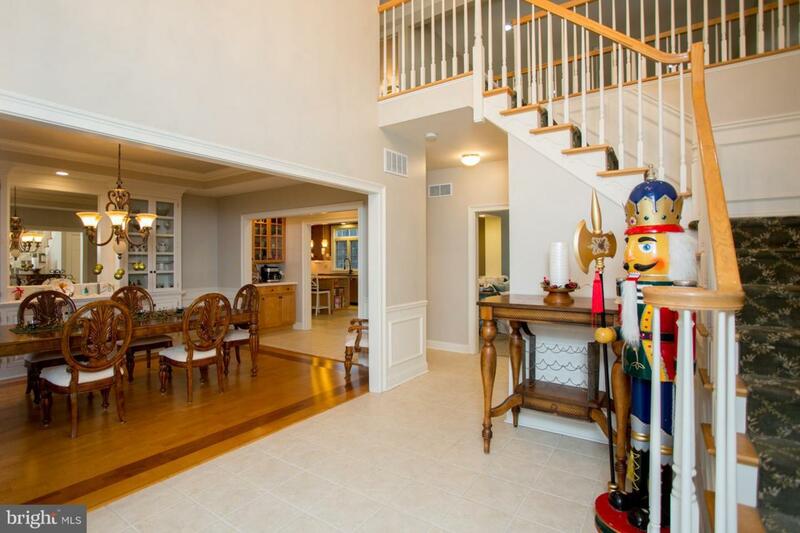 The main level features generous-sized rooms with an open floor plan meant for entertaining. The expansive sunroom can be used for many purposes; currently it is accommodating a bar/game room theme. The formal LR features a gas FP. The DR with tray ceiling has a custom hardwood built-in. Through the adjoining butler's pantry you'll find the kitchen, which is open to the great room. Preparing dinner is a breeze with the brand-new SS fridge, Bosch double wall oven w/Convection baking and a Wolf Induction cooktop for fast and energy efficient meal prep. The GR features floor-to-ceiling windows covered with custom plantation shutters, wood-burning FP and a built-in entertainment ctr. More built-ins and glass doors in the office. The main level is completed by 2 half-baths and an expansive laundry room with a brand new front-load washer and gas dryer, hanging bar, laundry shoot, and more. Extensive, detailed millwork including wainscoting and upgraded crown and dental trim along with custom hardwood built-ins throughout. The 2nd level features 4 BRS and 3 full baths. The MBR is complimented by a sitting area, 1 walk-in closet, 1 massive walk-thru closet and a linen closet. You will find the laundry shoot in the dressing area. The luxurious master bath has 2 separate vanities, a Whirlpool soaking tub and large stall shower. The Princess Suite overlooks the backyard and in-ground pool. 2 more BRS connected by a Jack and Jill bath with a large linen closet and and double sinks. All doors in the home are solid wood. The basement is partially finished with Owens Corning finishing system which is sound absorbent and mold and mildew resistant. Your outside sanctuary consists of an extra-large paver patio with 8-person year-round hot tub and beautiful landscape walls with ballroom steps leading to a massive deck and heated saltwater in-ground pool alongside a storage shed. The 3 garage doors are all oversized. 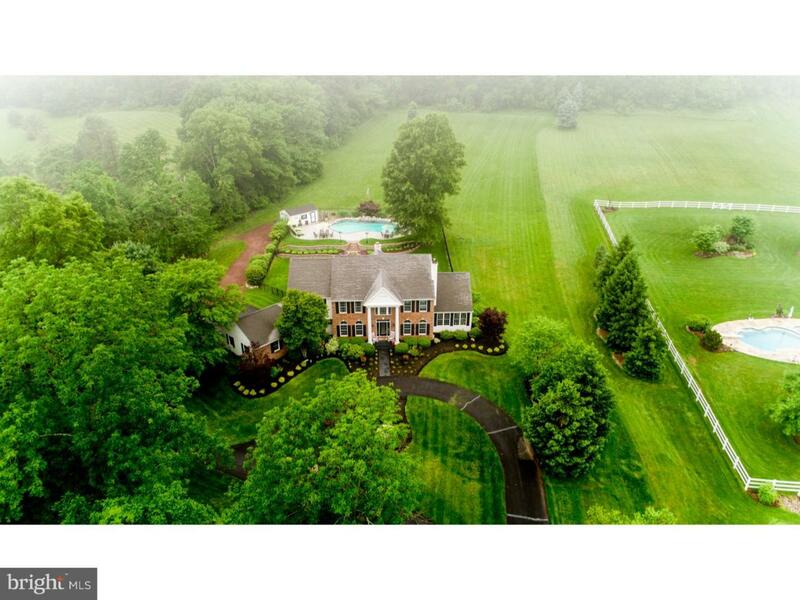 This home is located in top rated CB school district and is with in an hour or so to all major airports in PA, NJ & NY. Home Warranty Included.